Walking around Guelph, I am always delighted to see how many “Service and Guide Animals” there are in our community. What we don’t often recognize is how many Therapy Dogs are around us every day – as they don’t wear any identifying vests. I wanted to write a blog that could shed some light on the different types of Service, Guide and Therapy animals that are available to enhance our human lives. In Canada, St. John’s Ambulance can certify your dog as a Therapy Dog. They have 3,000+ Therapy Dogs currently registered across Canada. The goal of Therapy Dogs is to bring the companionship of a dog to those that would benefit from the comfort and touch from a canine. Therapy dogs help children and adults in hospitals and long-term care facilities, victims of trauma and crime, students stressed during exams, airport travelers and individuals in homeless shelters and much much more. The volunteers of Therapy Dogs are screened for background criminal record checks and references – and the dogs are evaluated for temperament and having up-to-date vaccination records. We discovered an interesting Therapy Dog Program called R.E.A.D. : Reading Education Assistance Dogs program promotes literacy and communication skills. I love the thought of dogs teaching people how to read! This practice uses therapy dogs to encourage children and adults to read aloud by giving them a nonjudgmental dog listener – with incredibly successful results. Although dogs are the most common service animals for helping disabled people, I was pleased to discover that birds, monkeys, pigs, donkeys, ferrets, parrots, dolphins, ducks and horses have also been trained as service animals. Service animal—to do work for persons with disabilities other than blindness or deafness. Service animals can also provide important companionship and emotional support for owners who might otherwise be isolated due to a physical disability or mental health challenge. Assistance Dogs International provides helpful links for North American Service Animals including Autism Dog Services. At the Canadian National Institute for the Blind (CNIB), they believe that everyone with sight loss who would like to have a guide dog, should have that opportunity. They just launched an exclusive CNIB Guide Dog Program to raise and train guide dogs. We attended the CNIB’s inaugural graduation class and it was a beautiful and meaningful ceremony. Guide Dog Website link. A hearing dog is a type of assistance dog specifically selected and trained to assist people who are deaf or hard of hearing by alerting their handler to important sounds, such as doorbells, smoke alarms, ringing telephones, or alarm clocks. The dogs may also work outside the home, alerting their handler to sounds such as sirens, forklifts, vehicle back up beeping, and/or a person calling the handler’s name. The Lions Club of Canada provides many Hearing Dogs, here is the Hearing Dog Website Link. The human-animal bond has been studied for centuries and is essential to the well-being of both of our species. In 2003, The Department of Defense determined through an extensive study that when animals were closely involved with humans, there was a rise in Oxytocin levels in both the animals and humans. Oxytocin has the ability to lower stress, heart rate and fear – all excellent results for both species! 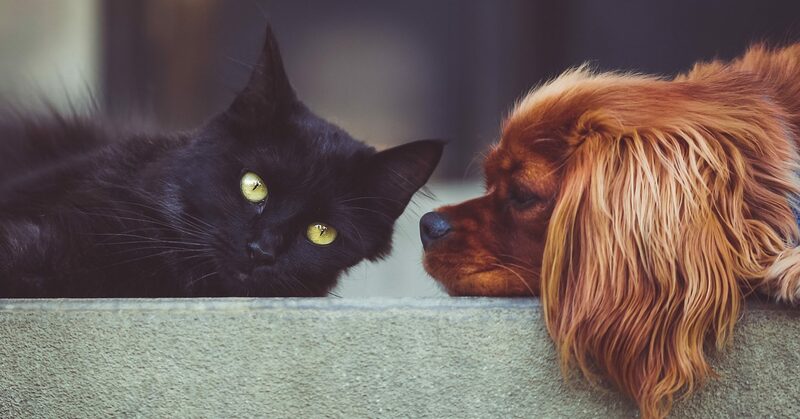 Enhancing our quality of life and health by connecting with others including animals encourages communication – and I also think that it makes us much nicer people too. Welcome to PPG’s New Blog Series!